Remember The Classic Buku555 For Debts? It's Now Been Upgraded To An App. 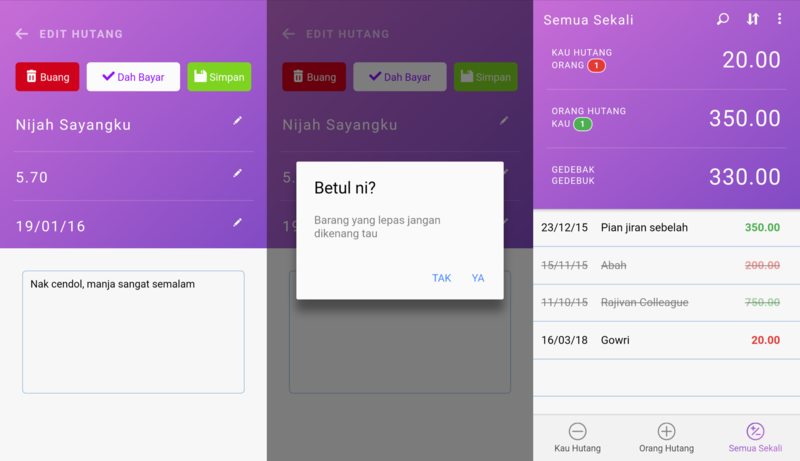 Buku 555 is a Malaysian app that turns the classic “Buku Tiga Lima” into app form. It has security functions and allows you to note down your debts in case you or the other party forgets. It’s a pretty simple app, but it does exactly what you want it to do without too many frills. The app’s description recalls a familiar scenario: how many times have you attempted to collect past debts, only for them to come up with excuses like “Oh I forgot”? 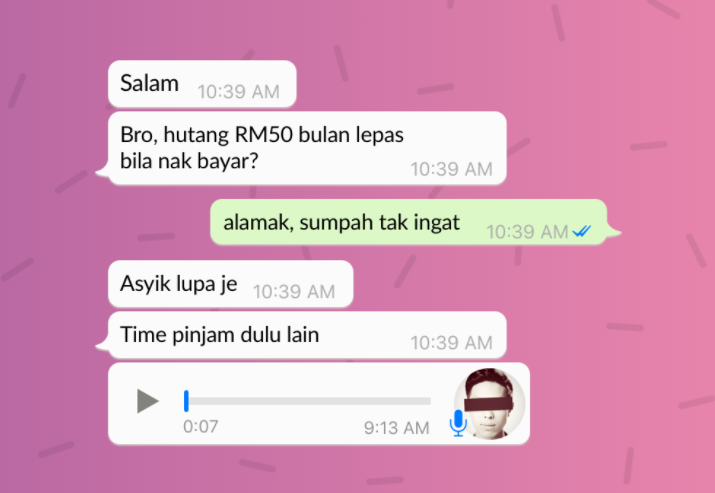 This Malaysian app’s solution is to look back upon the past. Back in the days before smartphones and the wide availability of the internet, people used to habitually write things down if they wanted to remember them. And one of these things to keep tabs on were debts, stored in a dedicated “Buku Tiga Lima”. To invoke a sense of nostalgia in a practical way, a Malaysian company by the name of Data & Roses Sdn. Bhd. 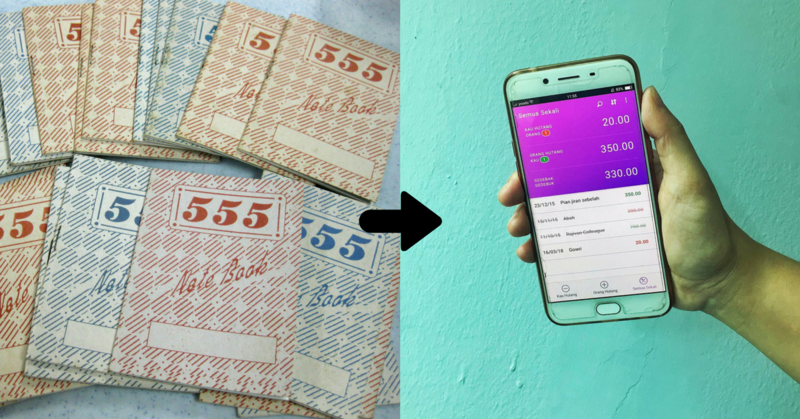 has decided to turn the classic debtor’s notebook into an app—Buku 555. We decided to take it for a quick spin. If the Malay language isn’t your style, the app offers options for you to swap to English as well, though that removes much of the quirkiness. After messing around with the app a little, we were a little disappointed to discover that the app lacked the ability to sync between accounts. Similar types of debtors apps have allowed me to “tag” another friend who has the same app. So if I said that “Person X” owes me RM20, it would automatically appear in their account as well. This way, the record is kept by both parties. So far, this newly minted app lacks that particular function, but makes up for it in simplicity. The interface is reminiscent of lined notebooks of yore, and has been conveniently divided—between “Kau Hutang” (what you owe) and “Orang Hutang” (what others owe you). Adding an entry is simply an issue of clicking on a button, and filling it up. Based on the ledgers usually drawn into the old Buku Tiga Lima, each of your debts is timestamped with a date too so you know exactly how long it’s been since the debtor paid you back. You can even change the amount owed or date of debt after keying it in, though we don’t recommend inflating or deflating any debts incurred without the other party’s knowledge. We’re also fans of the Senarai Semua (list all) option that allows you to see the net worth of all of your debts—are you in the red, or do more people owe you money than you owe them? On top of that, we like that the app offers options to sort your entries by dates, names and amounts owed. The idea is to send this over to your borrower if they pretend to have forgotten the debt. To ensure that no one snoops into your phone to reduce their debts to you, or just so that no one can snoop into these delicate records, Buku 555 has a few security measures in place. Before you can use the app, you’re prompted to come up with a 4 digit code. This will be invoked every time you exit and try to reenter the app, along with a fingerprint passcode to be extra safe. Overall, yes the app is a tad limited in use. but it does exactly what it set out to do, which is to collect and store information about all of your debts in a user-friendly, funny and simple way. The simplicity is a huge plus, because I’ve definitely given up on similar apps before due to clunky or inconvenient user interface. If you’re looking for a simple, no-frills way to keep tabs of all your debts, then Buku 555 is a nostalgic little gem to consider. It’s free, but if you’re looking for an app with more functions and inter-connectivity, then this isn’t the app for you. This app is available for both Android and iOS.